With more than 60 man years experience in plumbing and heating, you can rest assured that Wiltshire Plumbing and Heating will fit and maintain your central heating to the highest standards. Our Gas Safe technicians can install complete new systems or repair existing systems in the most cost effective way. We also carry out general plumbing work and provide our services throughout Wiltshire, Somerset and surrounding areas. Wiltshire Plumbing and Heating Offer a complete service from a single leaking tap to full heating installation for the home and commercial premises. For larger jobs we provide the peace of mind of dealing with one main contractor. We can act as project manager employing other trades and provide a single point of contact. Why Choose Wiltshire Plumbing & Heating? From the time you phone us to the time we leave your home/premises, we promise an excellent level of customer service. In short, we do what we say we will do. It's an approach to business which has earned us an enviable reputation - which we work hard to maintain. Boilers that are over ten years old waste a lot of valuable energy, in terms of cost and environmental impact, in fact many older boilers convert as little as 60% of the fuel they use into heat. We specialise in the installation of condensing boilers from Worcester Bosch. Annual servicing of your Gas appliance whether it is a boiler or gas fire is a requirement of your manufacturer to ensure continued and safe performance, and maintain your guarantees. We have learnt that no matter how small the job, it's important to get it right first time. We are experienced in all types of domestic plumbing and provide our clients with the service that we pride ourselves on. Wiltshire Plumbing and Heating can install boilers, heating and hot/cold supplies to your offices, restaurants, shops, any other commercial properties. We can also install small plant rooms involving boilers & cylinders. Wiltshire Plumbing & Heating works with letting agents and private landlords to provide safe and well maintained gas installations for their tenants. All our engineers are Gas Safe registered (formerly Corgi) and trained to the highest possible standards. We also provide ongoing training to keep them up to speed with the very latest safety issues and regulations to ensure we can offer the best quality service to our clients. 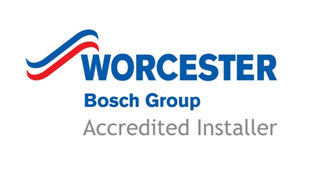 Worcester Accredited Installers (WAI's) are accredited to install Worcester boilers, solar water heating, heat pumps and underfloor heating to the highest standard. Fitting radiators, immersion heaters, Gas Fire, radiator valve replacement, gas hob & oven fitting, energy advice, tap fitting, shower fitting, washing machine & dishwasher fitting, central heating installations, power flush, Magnacleanse, heated towel rails, burst pipes, troubleshooting, general advice, WAI, Worcester Accredited Installer, CP12's for Landlords.